Totally new high tech flap disc! Long and short flaps layered alternatively on the fiberglass backing plate generate more air flow from the disc center toward the circumference, to help give better cooling-down and clogging-prevention effects on both disc and work piece. 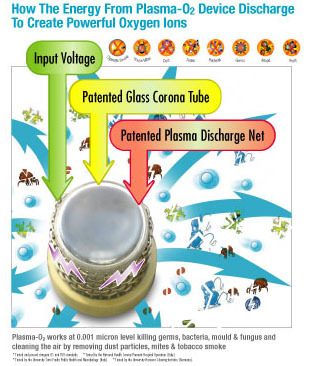 Plasma-O2 funtions as an air sterilizer, air purifier and car ionizer. Plasma O2 air sterilizing system is a breakthrough technology that purifies the air like nature. The only technologythat duplicates the natural creation of powerful oxygen ions found in UV ray from the sun, the lightning during thunderstorms, waterfalls and oceans. With plasma-O2, the large oxygen ion clusters can live up to days, travelling around the room, eliminating bacteria, moulds, odour and other harmful particles round the clock. Leaving you pure, healthy air like at the waterfalls but in the comfort of your car and home. This unit comes with two adapters to allow you to use in the car or your home. Coverage area is 30 sq. m . Power consumption is only 2.8W and ion discharge is 3,000,000 ion/sec. 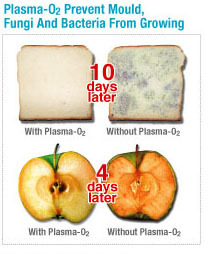 Plasma O2 can effectively remove odour, hibernate viruses, and kill bacteria and germs. 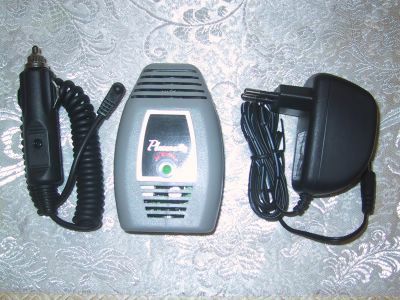 This a Dehne patented product manufactured in Malaysia. This product is small, light weight and high tech. If interested or you require a larger unit like the Airnet 2000, please contact us. 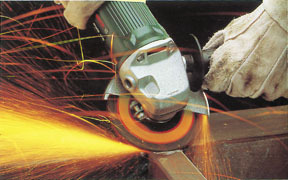 Multi-purpose grinding and blending discs made from VSM coated abrasives, ORBIT Flap Discs offer an aggressive cut while leaving a pleasing finish. Often, one of the ORBIT discs will take the place of what is now two separate grinding operations - heavy weld removal with a hard grinding disc and then final blending and clean-up with a fibre disc. A built-in fiber-reinforced consumable backing plate eliminates the need for a separate backing pad. Plus you may use your standard angle grinder mounting nut. 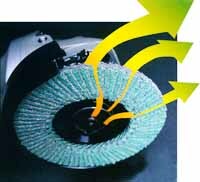 Why use Abrasive Flap Discs? Grind and finish in One Step! Where are Abrasive Flap Discs Used? 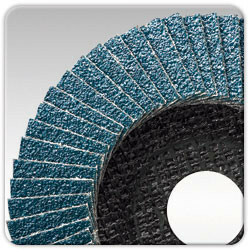 What are Typical Applicationsfor Abrasive Flap Discs? This wheel sets a new standard for easy cutting. Sheets, tubes, profiles, tiles and even massive materials are effortless cut with these new technology wheels. They are not only quick and easy to handle but also safer for the operator due to the unparalleled stability. Moreover, the wheels also last longer thanks to the used materials and special bond technology. 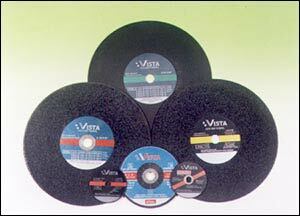 Discs come in 3 types : with fibre backing , plain discs or 6mm mounted spindle . Sizes are 4, 4.1/2" , 5 ", 7", and 9". 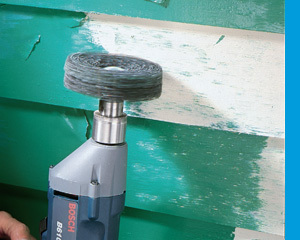 This is a drill mounted abrasive product that strip away paint or finish. Resinoid bonded fiber discs are available in aluminum oxide . Aluminum oxide discs are closed coat aluminum oxide with a vulcanized fiber backing used for removing and blending welds, ferrous metals, body fillers, paint, plastics and fiberglass. Sizes available are 4, 4.1/2, 5, 7, and 9 inches . There are 3 Series depending on the material : Steel, Inox (for stainless steel), Masonry. Removal of irregularities on steel rolled flats. 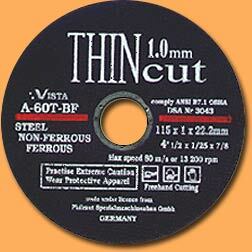 We are a Malaysian company involved in abrasives. Our products include resin-bonded grinding disc, cutoff wheel, thin-cut cutting wheel, brush, flap disc, flap wheels, Nova Techno flap disc. We welcome all enquires. We also distribute Plasma O2 Air Sterilizer, Air Purifier, Car Ionizer - A Dehne Product.